Downtown Bellevue – Town home 3 bedrooms – 2 full baths upstairs, half bath downstairs. for short term rental. 30 day stay minimum. Rent pro-rated daily thereafter. 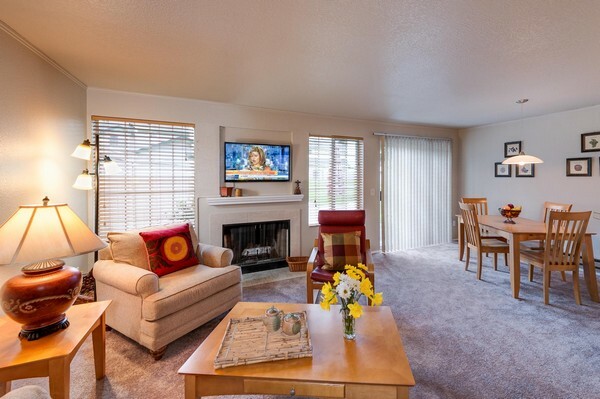 Super Bellevue location; just 10 blocks from the heart of downtown Bellevue near 405 interestate. Walk to Whole Foods, minutes to Redmond, Kirkland, and I-90. Private and quiet. Patio overlooking grassy area with play structure, 2 car garage All linens and housewares provided. Fully furnished and appointed. Just bring your suitcase! We stayed with one of the townhouse from between moves for 6 weeks. Coral is very professional and friendly and it was very easy to find and moving into the townhouse. All the choices she has for temporary `home away from home` is top of the class. The unit was very clean, neatly arranged and way better than hotel. We had great experience and highly recommend between moves.